Do you want to experience something new and exciting on your next vacation? Rather than visiting a popular spot, consider one of the following underrated destinations. While you may not initially think of these locations as the ideal place for a getaway, you’ll be delighted to see how much each one has to offer. 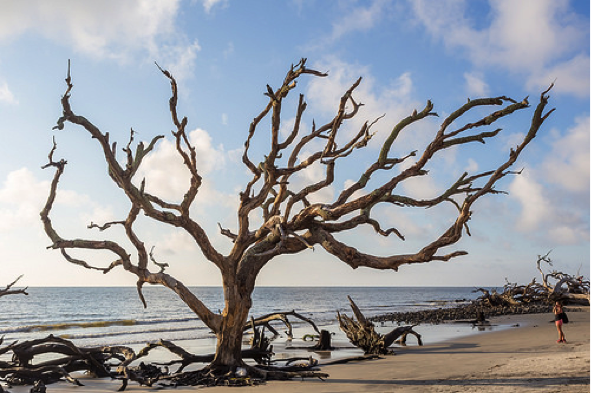 For a coastal getaway full of exciting outdoor activities, head to Jekyll Island, Georgia. This stunning seaside destination offers plenty of options to keep the family entertained, including the Georgia Sea Turtle Center, miniature golf, and a water park. You can also explore vast beaches, towering sand dunes, and the island’s impressive trail system. If you plan to spend plenty of time near the water, you can check out affordable rates on Jekyll Island hotels near Driftwood Beach. The first image that comes to mind when you hear Anaheim is probably Disneyland. While you shouldn’t miss the chance to visit this world-renowned theme park, you can find so much more to do beyond the Disney destination. Anaheim’s Discovery Cube is an educational museum with interactive exhibits that keep adults and kids alike entertained. You could also take in a ballgame at Angel Stadium or explore the massive food court at the historic Anaheim Packing District. Hotels in Anaheim are cheaper compared to other Southern California destinations, especially Los Angeles, Santa Monica, or Newport Beach. Click here to find great Anaheim hotel deals for your visit to this underrated destination. With many educational and technology institutions in the area, Raleigh is considered to be one of the key areas in the Research Triangle along with Durham and Chapel Hill. However, this capital city has plenty to offer even if you’re not a tech expert or a student. Sports fans will adore the North Carolina Sports Hall of Fame, and nature enthusiasts can find plenty to see at the North Carolina Museum of Natural Sciences and the JC Raulston Arboretum. For a relaxing afternoon, wander the streets of the Historic Oakwood neighborhood to marvel at the exquisite Victorian homes. Avoid visiting during big conferences or important university functions, such as graduation or sporting events. Check out some of the best deals on Raleigh hotels before you make your getaway plans. You may know that many people visit the Pocono Mountains for winter sports such as skiing and snowmobiling, but this area of northeastern Pennsylvania has much more to offer. You can enjoy fishing, golfing, and boating in the Pocono Mountains region, an area which is also home to a casino, racetrack, and many upscale spas. Be sure to check out the impressive dining and beverage scene as well, including the many local breweries and wineries. Not sure which town to stay in? Before you make your travel plants, check into some travel info for some of the best places to find Pocono hotel deals in Pocono Manor, Mount Pocono, Scotrun, and Tannersville. By choosing a place that’s slightly more under the radar when it comes to travel, you’ll save money on cheaper accommodations and enjoy reduced visitor traffic at these locations. Consider the above four underrated destinations for your next vacation.